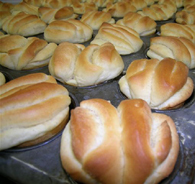 At Emily's, our dinner rolls are made from scratch daily in our in-store bakery by our staff of professional bakers. We use unbleached flour, which provides more nutrients and adds a little crispness to the texture. 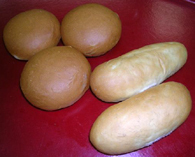 All our dinner rolls are available in white, wheat or pumpernickel. 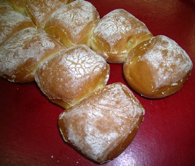 A traditional dinner roll. A light dusting of flour adds texture and taste. Popular for ham & turkey sandwiches. Great for a holiday meal. 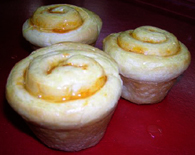 A buttery roll with just a touch of orange. Great for that holiday brunch. 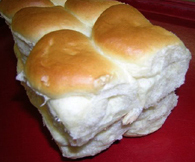 Old-fashioned, folded-over dinner roll. Can be used for a sandwich; also complements a pasta dish. Layers of butter make this a flaky delight. This is an attractive, stand-up type roll shaped like a muffin. These rolls are connected and almost look like a loaf of bread. They pull apart to form 10 individual pieces. 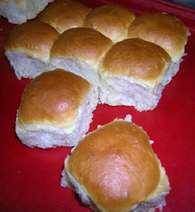 A soft roll, they are great with a slice of leftover ham or turkey. 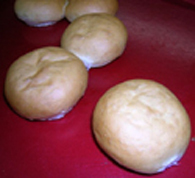 A soft dinner roll lightly brushed with butter. Bakers favorite. A smaller, round, sliced bun perfect for ham or turkey. Often used for open houses. 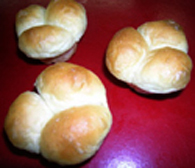 This roll is very similar to the Butterfluff Roll, but has the shape of a three-leaf clover. Indispensable household stables. Need we say more?